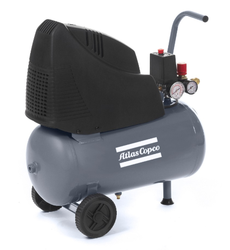 Indian Leather Company - Manufacturer of atlas copco lz premium oil free compressor, atlas copco lfx compact oil free piston compressors & atlas copco automan oil free piston compressors in Mumbai, Maharashtra. Piston compressors have always presented a compelling offer: robust, low maintenance and energy efficient. However, this strong performance typically came with high noise levels and few control options. 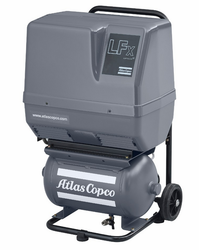 The Atlas Copco LZ eliminates this trade-off. As one of the most complete oil-free piston compressor on the market, the LZ meets all your compressed air needs and then some. 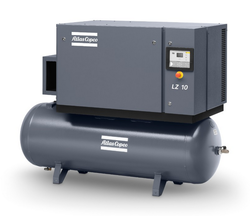 The LZ oil-free piston compressors come with a full range. 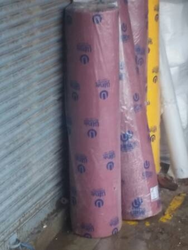 Designed for a variety of applications, our AH series is the ideal choice when light weight, high mobility and smaller amounts of compressed air is sufficient.